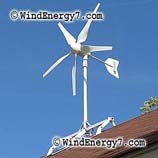 http://WINDENERGY7.COM – WindEnergy7 LLC is a fast growing Wind and Solar Energy business. WindEnergy7’s founder has trained customers, dealers, and installers in about 40 states of the US from Hawaii to New York & Alaska with exports to Canada, Mexico, Asia, Africa, and Europe. WindEnergy7 employs a dealership model that enables customers to become a local wind and solar dealer. WindEnergy7 Dealers use their own system and customer experience to help others in their community. 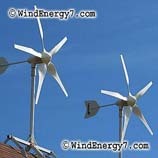 WindEnergy7 LLC is currently a privately held owner operated enterprise owned completely by the inventor. The owner of WindEnergy7 has a long record of manufacturing business management and technology development. 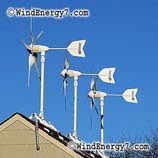 The WindEnergy7 business model is to run a very low cost and low overhead business with no debt. Parties interested in investing in WindEnergy7 are welcome to make proposals to the founder at any time for consideration.